"Serrats" is located in Bermeo, in the Coast of the Bay of Biscay (Spain). 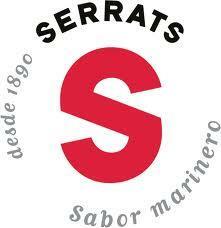 During 120 years Serrats family has been dedicated to the art of the production of canned fish. The Serrats preserves have an exceptional quality and are elaborated by only using the finest raw materials, fresh fish of the finest quality and specially hand made selection which allow an outstanding blend of sea flavors with aromas of earth. The modern technologies and the strict quality control system ensure the highest food safety conditions of the Serrats products and enable to meet the requirements of the most demanding gourmet connoisseurs.